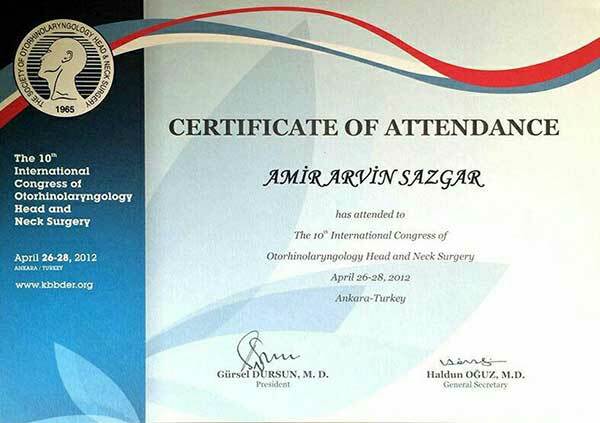 Accredited Facial Plastic Surgeon, Otolaryngologist (Ear, Nose, and throat specialist) Head and neck surgeon. 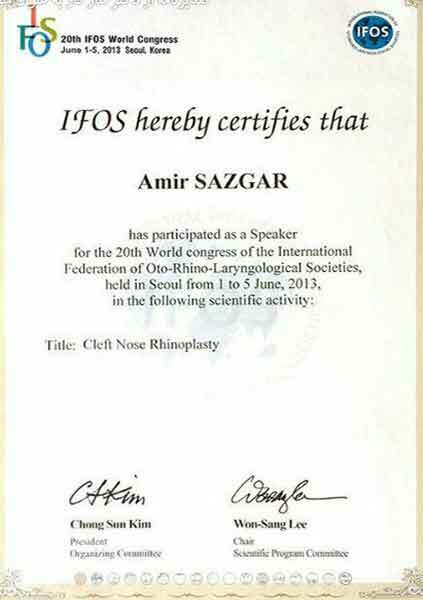 Full professor at Tehran University of medical sciences. 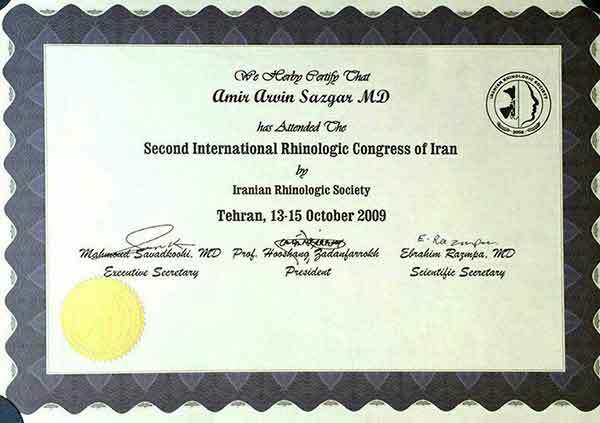 Dr Amir Arvin Sazgar is an Otolaryngologist (ENT specialist) with a subspecialty fellowship in Facial plastic and Reconstructive surgery since he was among the distinguished graduates of the otolaryngology and Head and Neck Surgery Board of Tehran University of Medical sciences, he was admitted to the academic faculty of the university immediately after graduation. 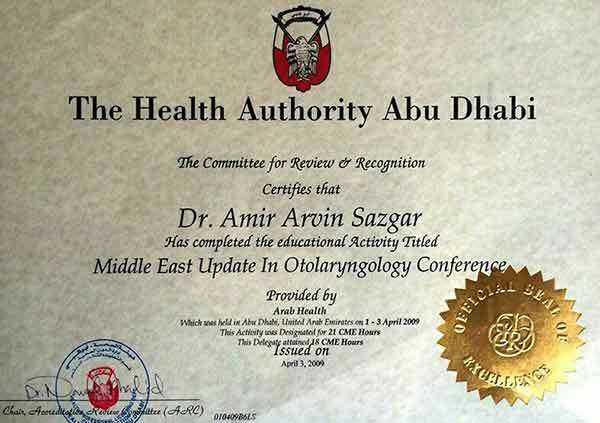 He quickly advanced through the ranks of assistant and associate professorship, attaining full professorship at the university. 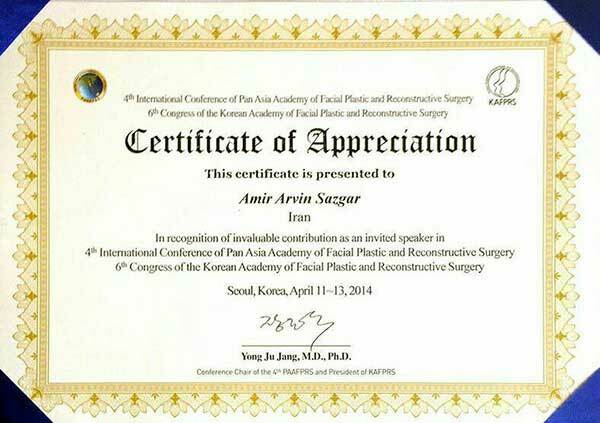 He currently serves as a full professor at Tehran University of Medical Sciences. 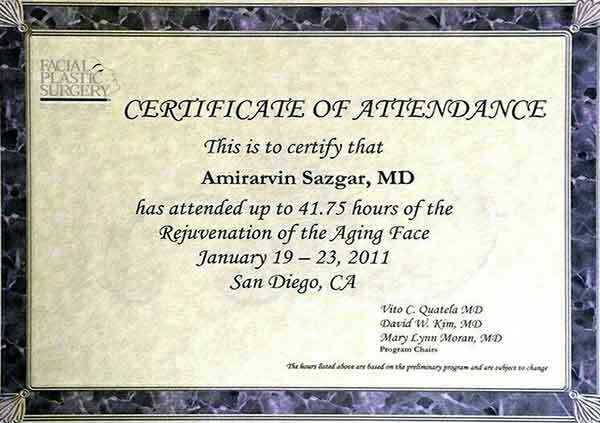 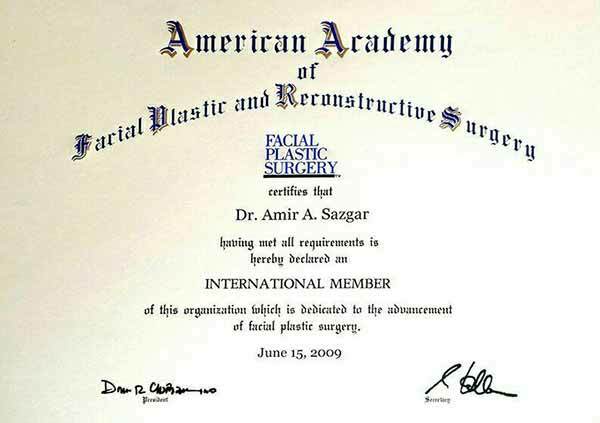 Dr Sazgar completed a sabbatical year in Facial Plastic Surgery at Stanford University in the state of California, USA under the instruction of professor Sam Most, one of the most famous and distinguished facial plastic surgeons in the world. 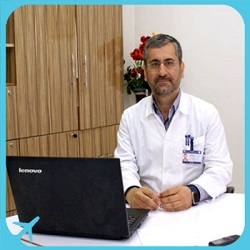 He is one of the well-known ENT specialists highly acknowledge by the ministry of health and treatment and Islamic republic medical federation. 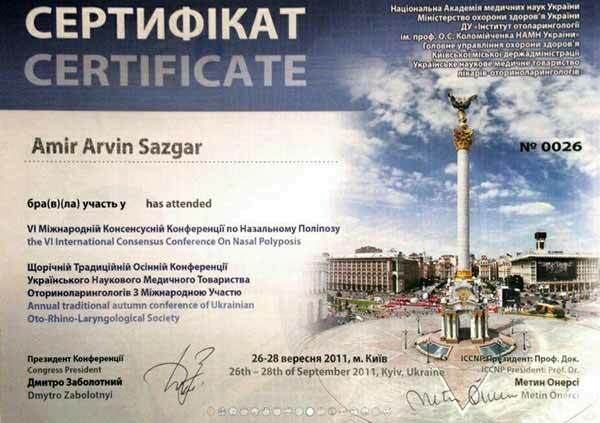 In year 2012 Dr Sazgar was known as the youngest professor of ENT in university of medical sciences of Tehran.